In late September, I will walk into a studio with 16 dancers, a composer and a string quartet, and begin creating a dance music piece. Where a choreographer starts to work, in terms of inspiration, can be drawn from a variety of places. For me, the people in front of me will determine what happens in the next five weeks and will be the unique character of the resulting end piece. Creating the right conditions in the studio is essential in what is actually going to develop; it is rather like working in a good noisy kitchen where communication and a positive working environment, including pressure, is the key to people giving of their best. I want the dancers to engage and contribute and be fired up by working with each other and shared ideas. 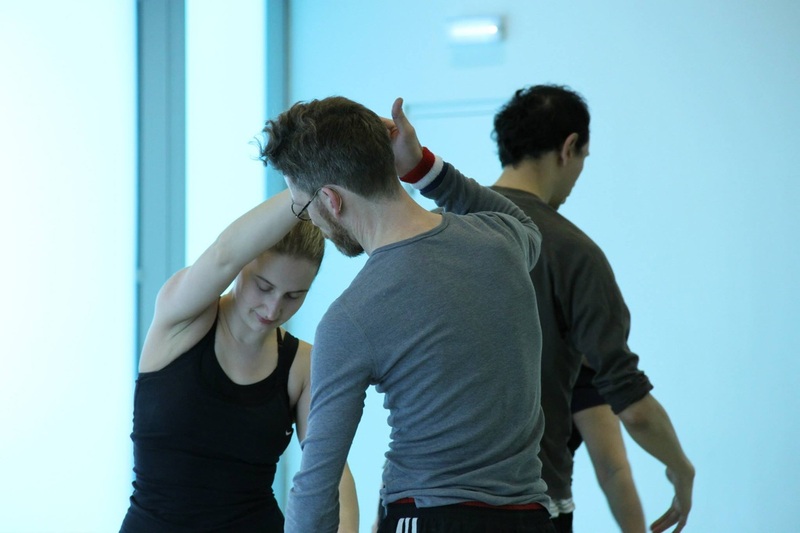 There is no blank canvas in front of me, but people, with their own bodies and qualities of moving and it is how the choreographer works with the specific nature of this materiality and deals with the dynamic of creating with others, that lies at the heart of the devising process. Images and especially poetic images are hugely important to me in developing an underlying landscape to the process. The work of RS Thomas, the poetic films of Andrei Tarkosky, and the submerged quality of the shipping forecast, have all elicited responses in me feeding the creative process. 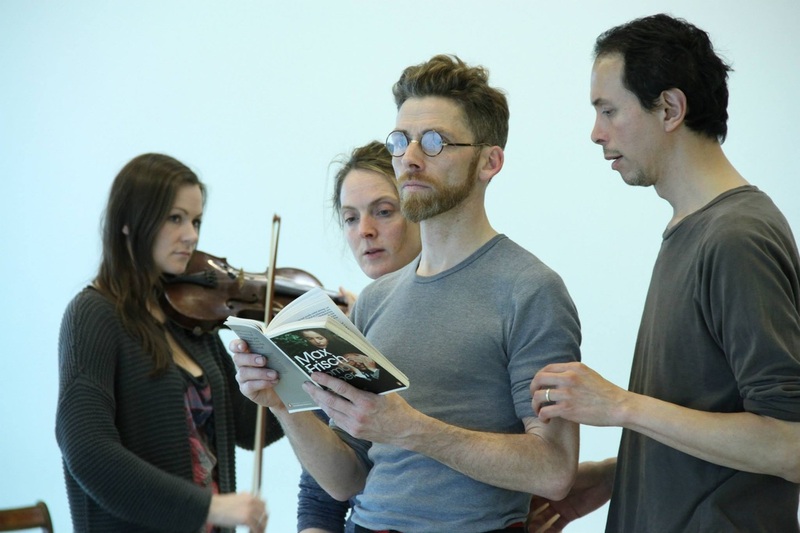 Last year, with a company of dancers and violinists, we created a piece, Reading with Bach to tour libraries. 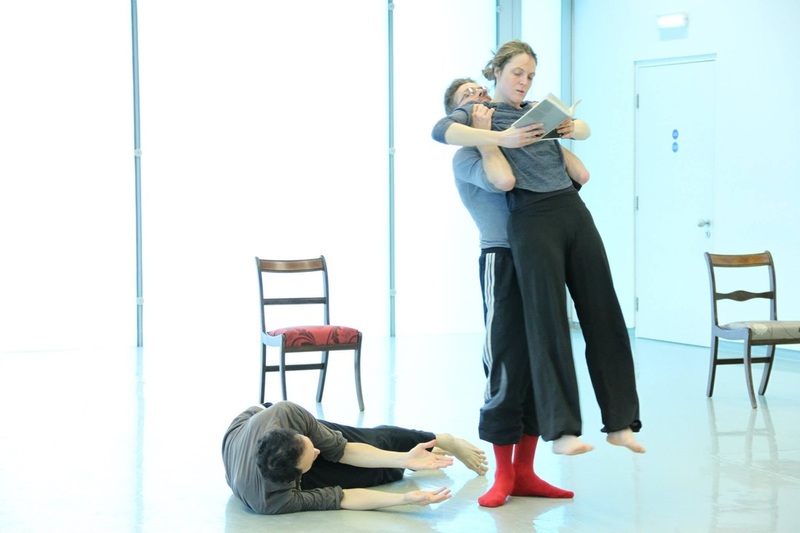 In our research, the company were interviewed by a dramaturg on their desert island book choices, and a reading list developed that we used in the studio. Edmund de Waal’s, Hare with Amber Eyes, was part of the list. I had watched programmes on de Waal, and know that he is affected and inspired by poetry and music when he is making work. 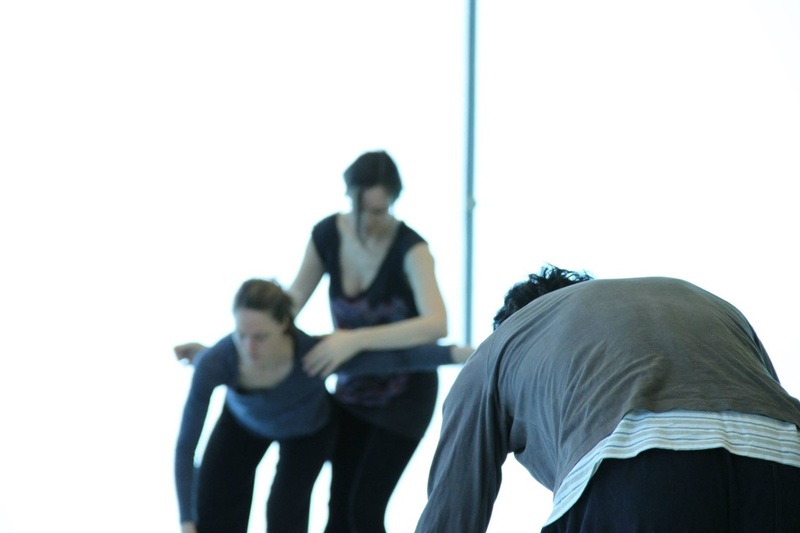 The physical presence of the vessels, grouped together, had a strongly emotional effect on me; many of the first tasks when beginning to make work, are done ’blind’ with touch as a central force to make connections between the dancers. De Waal’s tactile and visual work will be a constant reference for me. Edmund de Waal’s exhibition, white is on at the Royal Academy Library till January 2016. The dance/music piece, will be performed at Laban Theatre, Deptford, October 22 23rd 2015. Dancers from Trinity Laban Conservatoire of Music & Dance, will tour until December, adapting the work to different stages and halls in school and colleges, as part of their third year BA professional training. As I play Bach’s solo violin works, I often think that this music was composed nearly 300 years ago and the fact that it still inspires and moves people today. I find myself feeling a connection not only with Bach and the many people who have listened to his works over the 300 years but also with the people who performed his pieces and have inspired other performers to interpret the music in certain ways, influencing how we all hear it today. Along with the listening and performing history, the instruments themselves have their own histories. When I play Bach on my 250-year-old violin, I connect with all the previous owners who have played the same music on it. The instrument itself has already played these pieces many more times than I ever will, and knows them far better that I do, and always will. The historical implications of an instrument can be compared with those a book that is hundreds of years old. Those who have handled these books and instruments have left their mark; we can feel the impact of the hours spent with them. There’s the appearance and smell, and the evidence of the physical journey their owners have taken them on. As we read these books and play these instruments, we are in a shared past and future. I often wonder if the next person to own my violin will be able to feel the time, effort, energy and emotion, all that I’ve poured into this instrument. Reading with Bach - The Point of Departure from Martin Collins on Vimeo. When playing Bach I often think about what was going on in Bach’s life when he wrote the music. Bach always takes us on a musical journey. He begins with a statement and that statement develops, taking the listener to a wide range of expressive places. I like to think that his expressive choices are linked to his surroundings and situation at the time. I relate the expressions and effects in Bach’s music to how books can change pace. Sometimes you’re reading at such a fast pace because the material is just so exciting that you can’t wait to turn over that page to see what happens, while at other times your pace is slower simply because the subject matter is troubling to take in. The pace of reading about a death in a love story or a chase scene in a thriller can, I think, be linked with Bach’s choices of tempo directions for particular movements and this can help the performer communicate the overall feel of that piece. I explain that when Lizzi and I had started talking about how we read and what we imagine when we read this or that, I had this flash of thought, namely, that we don’t ever read in abstraction. We may talk about reading in general, but in practice when we read we’re reading something. A newspaper or book or brochure – specific. Of course with every dance or performance piece, those coming in as performers are individuals, but here, especially, it seemed to me that everybody would arrive with their own particular history and relationship to the subject matter of reading and books. Which books we read (or don’t) or reread (or not) is very individual. And so, with this background set out, each cast member and I proceed to talk about books as well as music, films and/or art. The focus is on what he or she finds meaningful. These could be books that you’d want to revisit or those that are markers. Or simply something more casual, that you enjoyed or remember for no good reason. Or even a book you’ve meant to read (or something you’ve meant to listen to or a film or art work you’ve wanted to see) but haven’t. What a range of titles emerged. What a range of books. Books that reflect what we’re made of. As personal as our signatures. We physically brought some of them into the studio for the R&D; others were what we carried in our imaginations and memories. 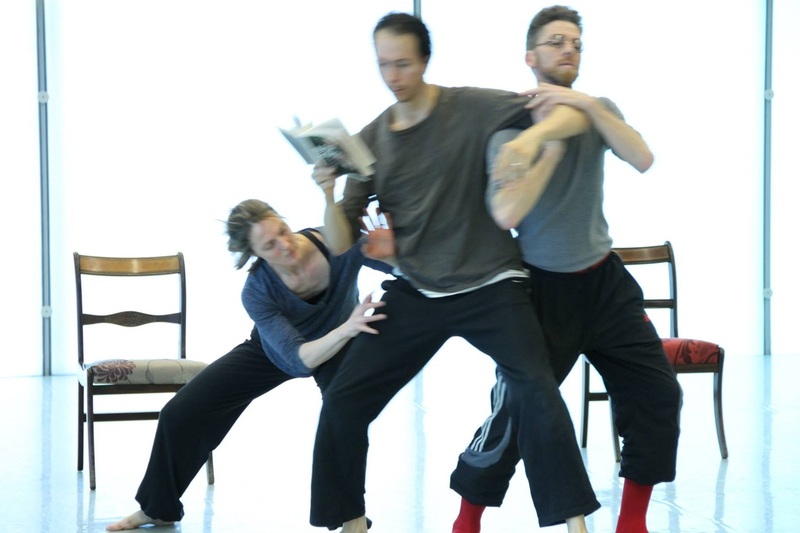 In devising movement material, we handled the physical books and peered inside, bending back the spine and reading, a first sentence, a second sentence, a paragraph, sometimes aloud, sometimes silently, becoming interested, even absorbed. We became aware of titles new to us and from there it was a small step to being curious about everybody else’s list of favourite stories or books. By the end of the R&D we realized we’d generated a Reading with Bach Library. A portable library – that we work with, that we work from. Ever wondered where London’s first theatre was built? What it was like to live in the Jewish Ghetto of Victorian East London? What links a samosa to The Odeon in Whitechapel, and where King’s Cross really is? 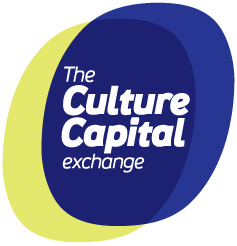 The Cultural Capital Exchange (TCCE), a membership network for London’s academics are putting on a weekend of walks, where expert London academics will share their painstakingly researched secrets from London’s history with members of the public. All the walks can be seen here. Martin and I made this film as a way of documenting a beginning and start a conversation about the initial ideas that underpin Reading with Bach. I live in the City of London’s square mile, and 300,000 people come to work in the mile every day. Looking at the hundreds of hunched figures over London Bridge is like a Lowry painting, and no one is touching anyone else. Taking my young son across the city, crossing through the busiest intersection, Bank Station where 400,000people pass through every day, I wondered why I was so tired? ; The very many adjustments, my mind was having to make- ‘shall I go this side of him?’, ‘where is she going?’; thoughts that are internal and hardly conscious when negotiating such a large mass of people every day, take up a huge amount of energy, as well as the emotional turmoil that one reads easily on people’s faces, if one pays attention. It was creating a game that made me begin to think of the ideas for this dance/music piece: we used to count the number of people who emerged from the tube, reading a book, continuing along in the flow of people, taken to work amidst and part of the stream of humanity, at least 4 or 5 a day. Reading is, mostly a solitary act, and I mused, where do we go in ourselves when we read? We are taken into imaginary places and situations and yet these readers, allowing themselves to be buoyed by the crowd, continue to read in the midst of the public. This led me to consider the internal world of the reader and the juxtaposition between a private act and a walking presence in a public space. The use of ear phones, Kindles and texting has made these observations commonplace, but it was the people with a book that we noticed. Bach has been a constant companion to me these last few years. I grew up in the 60’s listening to the Swingle singers and Jacques Loussier and love the rhythmic play between jazz and Bach. Having worked with musicians closely over the last 10 years, I enjoy the conversation that occurs between live musicians and dancers who share the same space. 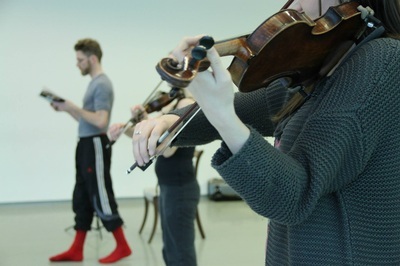 Dancers and musicians inhabit space in very different ways, but when the musicians move and the dancers sing, they play and move better with a deeper integration with the body as a source for playing and moving. 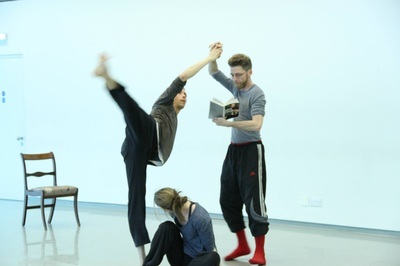 Can I, as a choreographer, through dance and music explore the notion of public and private with the world of books and Bach as a starting point? As soon as the dancer opens the book on stage, we go into her head, we hear the music she hears and as she is lifted up reading- she is taken by them on a journey. But who is leading who? Are they figments of her imagination, characters in the book she is reading, or are they, like Shelly’s Frankenstein, manipulating her vision, and writing the page before she reads it? We will play with the rhythm of this dynamic, asking the audience to read the work in a variety of ways.